We use a higher quality fertilizer than our competitors use or the DIY stores offer, resulting in a healthier lawn as seen above… you can see the difference! We use an enhanced efficiency 65% slow release granular, phosphorus free, fertilizer blended. Since the fertilizer is used gradually, very little is wasted. It is safer for your lawn, you pets, your kids, and you. Some competitors and DIY stores advertise slow release fertilizer, but when you check the fine print on their disclosure labels, it is usually 5% or less slow release fertilizer. Some of our competitors only apply one slow release application, and use fast release liquid fertilizers for the remaining applications, because it is cheaper. Whether liquid or granular, fast release fertilizers release the nitrogen into your lawn in 7 to 10 days. Although this causes the grass to turn green quickly, this fast growth causes stress on the grass plant making to susceptible to weeds, insects, and disease. It is really important to understand that fertilizer is the “food” for your lawn. Fertilizer quality and price vary from “Junk Food” to “Good Food”, just like human food. 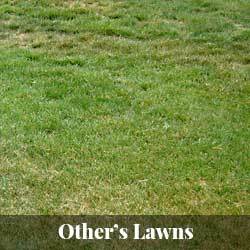 Lawns require “GOOD” fertilizer to maintain health and vigor. We only used products fully approved by the EPA. These products are applied only by lawn care technicians who are fully trained and are certified and licensed by the Colorado Department of Agriculture. Our technicians are fully trained in environmentally friendly lawn and garden practices. These products, certifications, and training are the basis for our environmentally responsible Nature’s Touch® Lawn Care Programs. 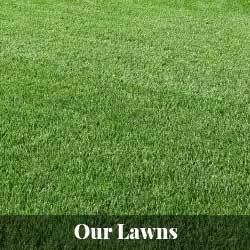 Impress Clients, Relatives, Friends and Neighbors – A Green Weed Free Lawn Will Make You The Envy of The Neighborhood — Everyone Compares The Color of Their Grass To Their Neighbors. For very little money you can have a green, weed free yard. The impact to drive up appeal, resell value, disease prevention, elimination of thinning issues, reduced mowing frequency all easily offset the very low cost to keep your lawn green, healthy, disease, and weed free. Frequent onsite inspections by our CDA licensed technicians will ensure we catch and prevent disease, fungus, insect, and grub worm problems before they cause major damage that will cost $1000’s to repair. Do you coordinate the mowing around each fertilization, weed, aeration and per-emergent application?com times each application around your mowing schedule. This is critical. Do you outsource your fertilization and weed control treatments to another company? We do not outsource any service to another company. This is important to maintain quality standards, insurance requirements and the safety of your property and family. Likewise, outsourced services are difficult to coordinate with the mowing schedule. Are your technicians licensed with the Colorado Department of Agriculture? This is a must. Specifically verify that the license is with the CDA (CO Dept of Agriculture). Does your company carry a minimum of $1,000,000 in liability insurance to protect me in the event of damage? If not, your homeowner’s policy is at risk. Call us about all the options that are available to improve the health of your Lawn and Landscape.